You will require Adobe Reader to view this newsletter. 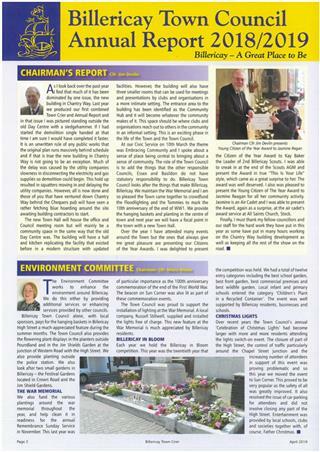 This is the quarterly newsletter of the town council and is delivered FREE to all homes in the Billericay town area. 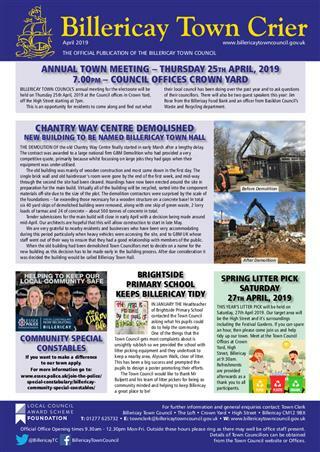 If you are a member of a local Billericay club or organisation that has an event planned or you have have a special anniversary approaching, please let us know by contacting the Clerk. Any articles submitted are subject to Terms and Conditions. Billericay Town Council have now launched the ninth edition of the Town Guide which will shortly be delivered to all residential properties within Billericay. 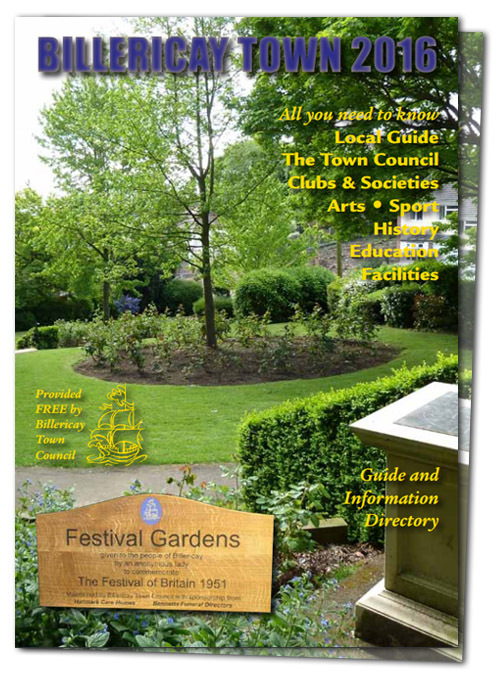 The new Guide is recognisable by the picture of Festival Gardens on the front cover and is 68 pages packed with information regarding the Town Council, local groups and societies, places to visit in and around Billericay and general information regarding services within the town.